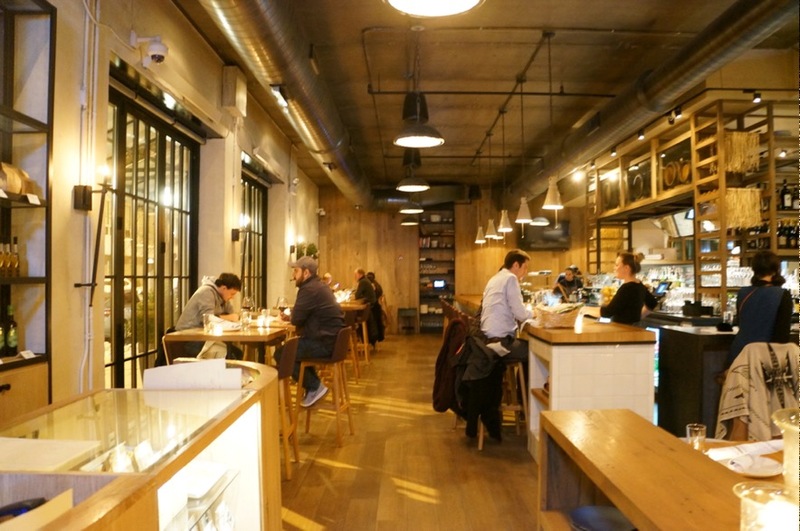 My first trip to Chicago started off with quite the meal at Monteverde (@monteverdechi). Since it was my first time visiting, I wanted to try a mix of well-known essential Chicago restaurants as well as a few newer options. Monteverde, which falls in the latter, opened in West Loop in late 2015 and since then has received many accolades including being named one of Food & Wine’s best new restaurants in 2016. Upon entering the restaurant, I was surprised by how large it was. I soon realized that this is a common theme in Chicago. 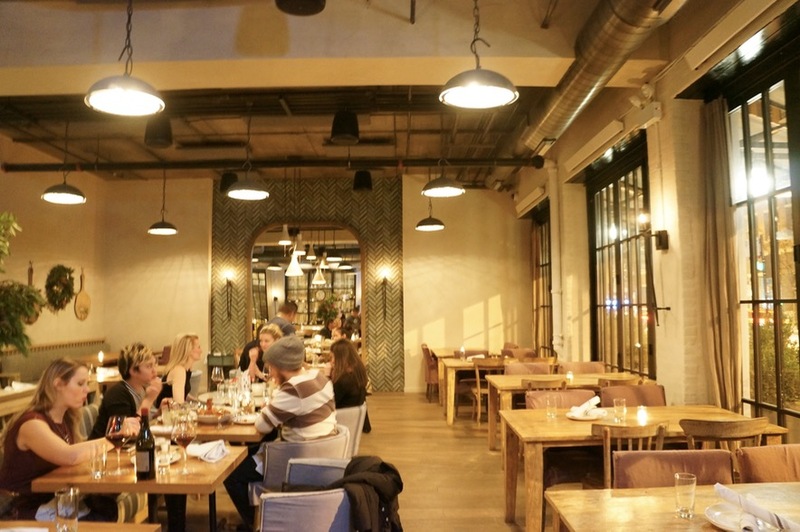 I’m so used to eating in these tiny shoeboxes in Toronto that we call restaurants that it’s always a pleasant surprise when we visit a large restaurant that isn’t a chain. We came for a late dinner on a Friday night and the restaurant was packed so reservations are highly recommended. This popular Italian restaurant is brought to us by Chef Sarah Grueneberg (@chefsarahjayne) who was a finalist and runner-up on Top Chef Texas. 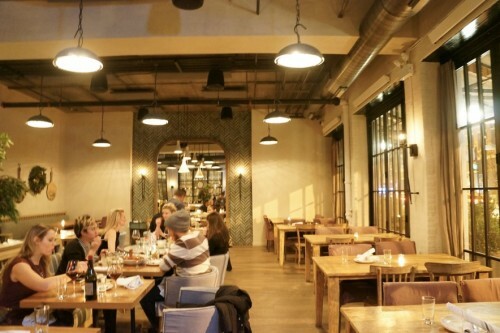 The restaurant’s motto is “Traditional Heart with a Modern Hand” which is certainly evident in their menu offerings. 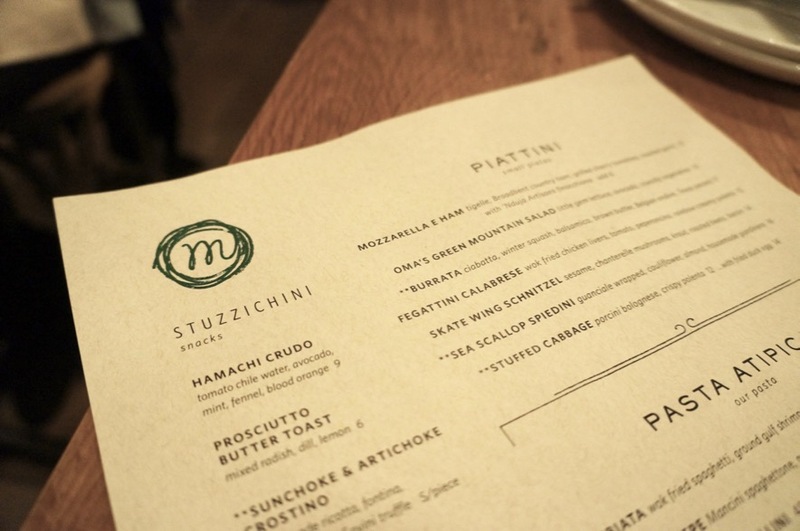 The menu is divided into Stuzzichini (snacks from $5-$9) which include arancini and hamachi crudo, Piattini (small plates from $12-$20) like bruschetta and burrata, pasta ($13-$17) and dishes “per la tavola” aka ‘for the table’ which include larger sharing entrees like a 24oz bone-in ribeye for $63. 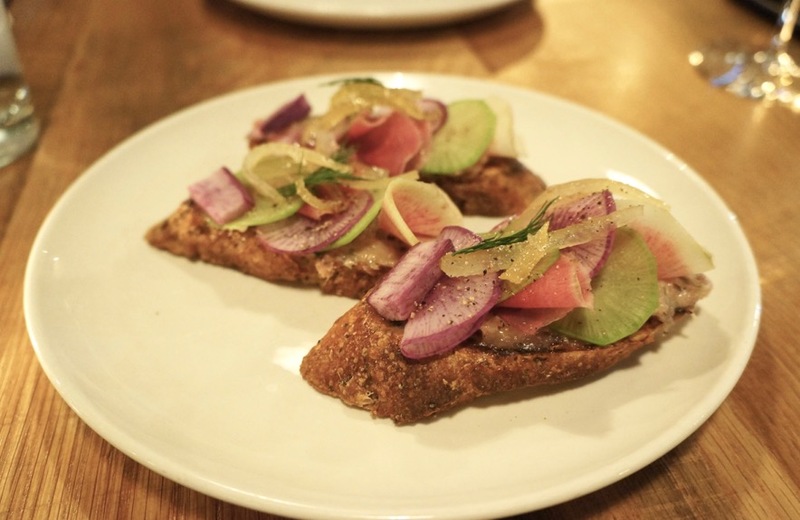 We started out with the Prosciutto Butter Toast – with mixed radish, dill, lemon ($6) from the ‘stuzzichini’ section of the menu. Based on the description, we expected toast with slices of prosciutto on it but it really was ‘prosciutto butter’. It was spread onto the toast like pâté but instead of the liver flavor, you get something much more delicate. The sliced radish, dill and lemon were the perfect accompaniments as it helped cut the richness of the butter. A must-order! Up next was the Tortelloni di Zucca – pumpkin filled, mostarda, sage, parm, pepitas, apple balsamico ($16). 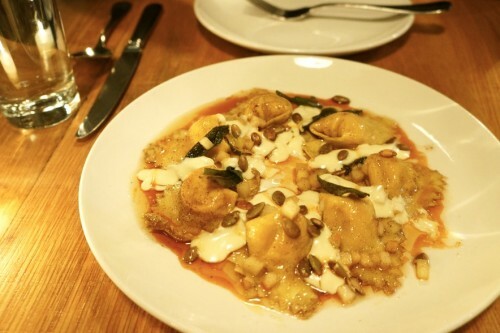 The pasta, which was cooked to a perfect al dente, was stuffed with a sweet and creamy pumpkin filling. Topped with bits of apple, this pasta dish was certainly more on the sweet side so if you’re not a fan of sweet dishes (which aren’t dessert), I’d stay away from this one. We didn’t mind the sweetness and while we really enjoyed the dish, we were glad we shared it as it might’ve been a bit too much sweetness for one person. 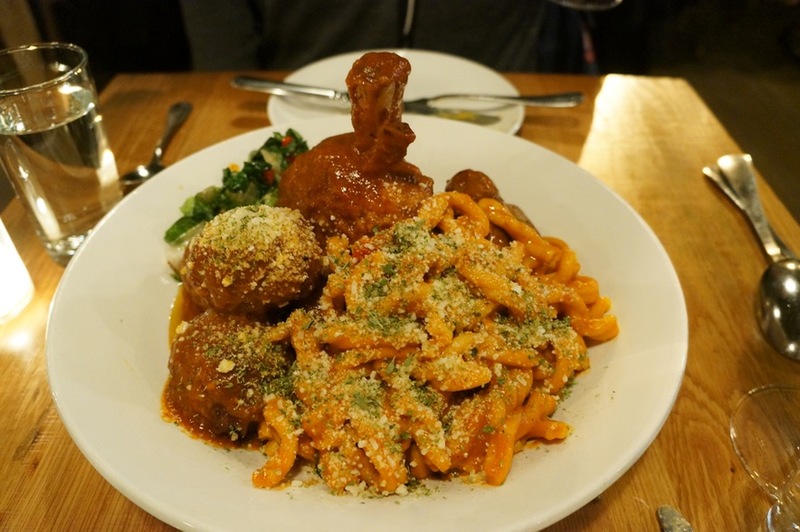 Our meal ended with the Ragu Alla Napoletana – fusilli rustico, cacciatore sausage, soppressata meatballs, tomato braised pork shank, wild oregano ($46). If you saw how large this dish was, you’d understand why our meal came to an end here. We ordered this from the “per la tavola” (for the table) section of the menu and this easily could’ve fed several starving people. Judging by how many of these dishes we saw go by, it’s clearly one of Monteverde’s most popular dishes. There’s definitely more to it than just the novelty of a plate large enough for a carnivorous giant. We really enjoyed every component of the dish. The pork shank (which we hardly ever see on menus) was fall-off-the-bone tender, the meatballs were delicious, as were the sausages. The pasta itself was also a highlight. Like the tortelloni, the fusilli was cooked to a perfect al dente and had a wonderful chew to it. After landing in Chicago, Monteverde was my first destination and needless to say, they set the bar pretty damn high. I wouldn’t hesitate to come back.